Linear Fisheries has made the decision to start selling the New Gardner Tackle Intensive Care Treatment at a very low price. This Excellent product really should be a must for all anglers to carry in their kit bags. It is designed for treating cuts, sores or hook-holds on fish and comes highly recommended. We are going to make this product available to all anglers that visit the site, for only £6, this very special offer will probably mean we actually lose money on each sale. However we feel it's far more important to enable all visiting anglers to look after our precious fish without breaking the bank. RRP is normally £10. This offer is only available to anglers visiting the site, either from our bailiff's on the bank-side or from the fishery office in-between St. Johns and Manor Farm Lakes. So make sure you get one of these the next time you visit the site. Looking after your catch should always be your number 1 priority. Follow these three simple steps to ensure the fish you catch are returned healthy and alive. 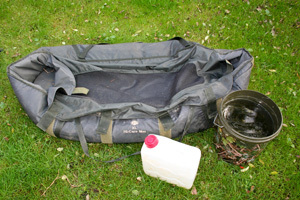 To fish at Linear you must use an unhooking mat at all times for Carp, Pike, Catfish and large fish of other species. Have a bottle/bucket of water ready to keep the fish wet whilst on the mat – This is especially important during the warmer months. 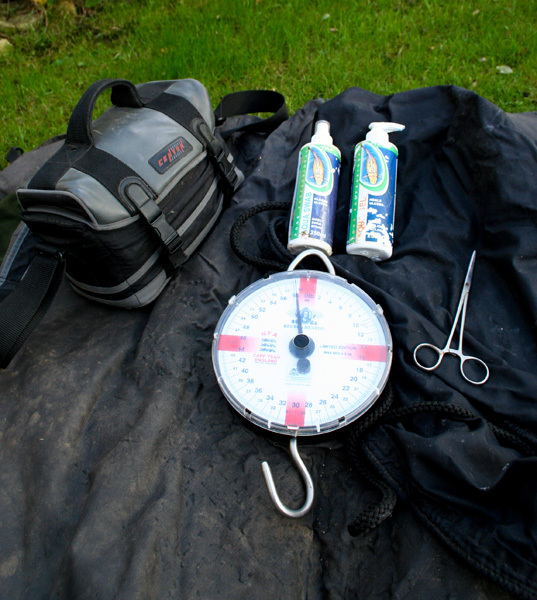 Make sure you have your scales, sling, forceps and camera ready before lifting the fish out of the water – This will keep the time the fish is out of the water to a minimum. 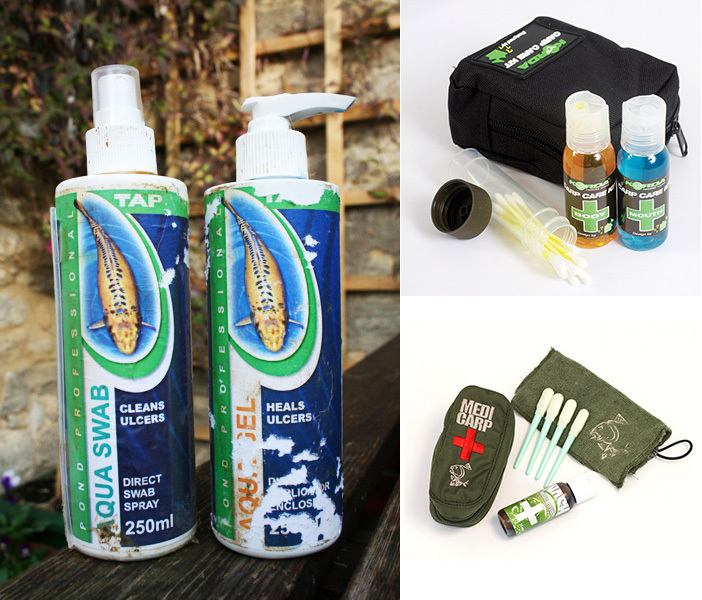 Make sure you have one of the many “carp care” treatments now available, companies such as Nash, Korda and Kryston all produce them. 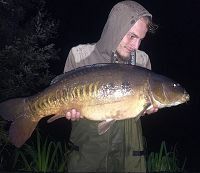 Alternatively you can purchase a good ulcer treatment designed for Kio carp from your local aquatic centre, these can be used on any cuts, marks or sores that may be present on the fish - Always make sure you keep any treatment away from the eyes and gills of the fish.